We crossed 100+ postboxes this month. As promised I am releasing the data in an open format that can be used by anybody. I am planning to update data for every 25 new addition of postboxes. 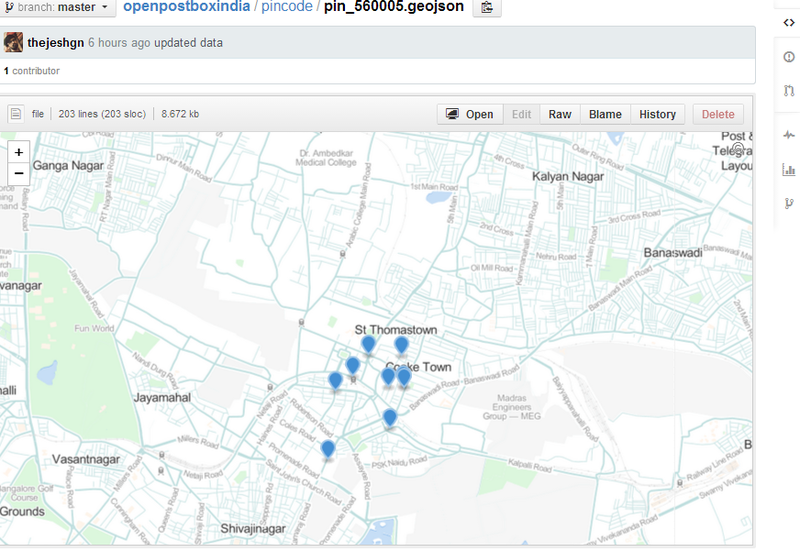 Data is available in the form of GeoJSON which I thought is the most user/developer friendly format. Also GitHub visualizes it by default beautifully. The raw data and formatting code is on github, get into pincode folder if your interest is only data. If you are looking for API. Try using gitspatial on a forked repository.